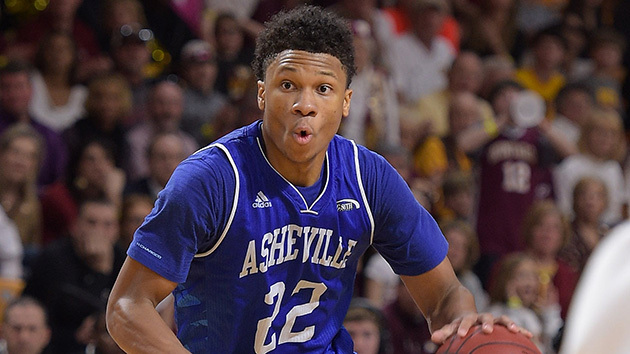 Everything you need to know about the UNC-Asheville Bulldogs as they begin the NCAA tournament. The Case For: If the Bulldogs do advance in the NCAA tournament, it'll be due to defense. UNC-Asheville is ninth in the country in defensive turnover percentage and third in steal percentage. Three of the Bulldogs' players—Sutton, sophomore guard Ahmad Thomas and senior forward Sam Hughes—rank in the top 200 nationally in individual steal percentage. Thomas, who averages 2.1 steals per game, is 10th in steal percentage. Despite their pedestrian height—which is 282nd in the country—they hold their own on the boards and are in the top 150 in rebounding percentage offensive and defensively. 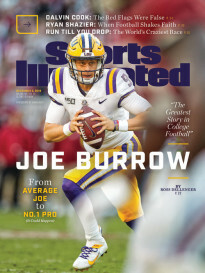 Though the Bulldogs lack a lights-out offensive player—Sutton, whose offensive rating is 108.0, is the closest they come—they have excellent balance offensively. All five of their starters average in double figures each game, and their first three players off the bench each average at least 4.9 points. The Case Against: The Bulldogs are almost as good at giving the ball away as they are at taking it away. As an offense, they are 208th in the country in turnover percentage and 285th in steal percentage. Senior center John Cannon is the only rotation player taller than 6'5" and he averages just 6.5 minutes a game. Experience and depth are also a concern. UNC Asheville has six freshmen and sophomores in its top nine, and is 319th in experience on kenpom.com. Its percentage of bench minutes is 310th in the country. Although the Bulldogs can look back at a Dec. 19 win at Georgetown as an example that they can beat a high-major program, the Hoyas are not an NCAA tournament team. The Bullogs only faced one tourney team during the regular season, which results in a 28-point loss to Texas A&M on Nov. 21. Although they mostly avoided bad losses, they have only beaten one top-150 team this calendar year.